Every year the “Tekné Prize” is awarded, with a special gala evening, to those Municipalities of the province of Lecce that have distinguished themselves in projects to recover and enhance architectural heritage or feature importance for the community that belongs to it. A “competition”, in the name of architecture, which in the 2011 edition saw the award of a prize for the first time to a private individual. 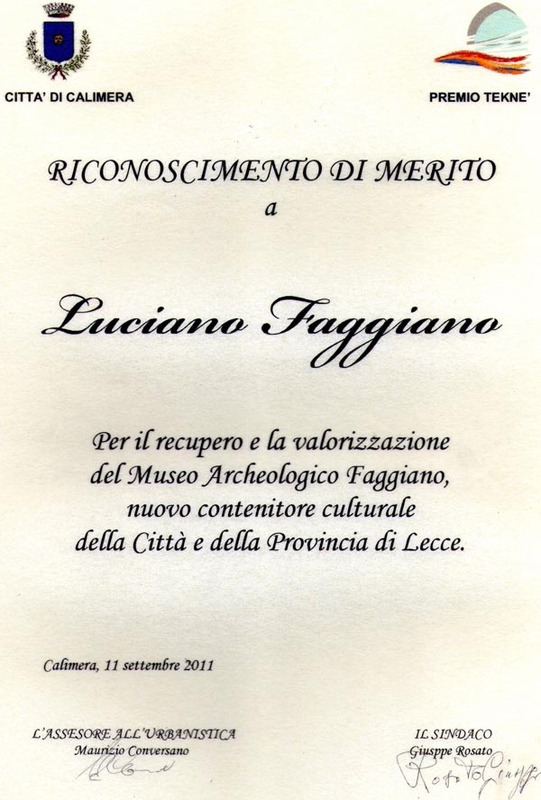 Below is the reason for our museum: “Recognition of merit to Luciano Faggiano for the recovery and enhancement of the Faggiano Archaeological Museum, new cultural container of the City and the Province of Lecce”.